5/22/2013 - SCHRIEVER AIR FORCE BASE, Colo. -- "You are, in fact, the masters of space." These are the words Gen. Robert Kehler, commander of U.S. Strategic Command, stated when he visited Schriever Air Force Base May 17 to present the 2012 Omaha Trophy for Global Operations to the 50th Space Wing. For the second time in three years, the wing has captured the trophy, which is awarded annually to units that demonstrate the highest performance standards in USSTRATCOM's global strategic mission. Selections are based on formal evaluations, meritorious achievement, safety and other factors such as community involvement and humanitarian actions. Col. James Ross, 50 SW commander, received the trophy on behalf of the wing. "I want to congratulate you on a job spectacularly well done," Kehler said. "The Omaha trophy is a big deal; it's a big deal in Strategic Command and it's a big deal for the people of Omaha. They maintain a connection with this award. They know who gets it. We sit down with our consultation committee members, which is the sponsor of the Omaha trophy. And every year, we review with them who gets the award and why." Typically, the committee members find a very tough set of choices they have in order to get to a selection. "Once we make the selection, it's obvious why we did it," Kehler said. "And for this case, it's obvious why we did it." The general said many of the units assigned to USSTRATCOM are operating in the shadows with the 50 SW as the epitome of "ultimate operation in the shadows." "It's difficult for the people who benefit the most from what you do, which are the Soldiers, Sailors, Marines, Airmen and in particular, those who are forward deployed, and in some cases, engaged with the enemy, and in other cases, deployed elsewhere around the world, [to appreciate what you do]," he said. "They are the ones who benefit the most from what you do and yet the odds are, they don't know who is doing it. This is our chance to say thanks to you, on their behalf." During the presentation ceremony, Kehler also talked about the changes in USSTRATCOM and how the wing is not only a part of a legacy of honor and valor, but also a part of legacy of change. "Not only will we recognize you here today for what you have done and the outstanding way you've done it, but I think when we leave this trophy with you today, we are recognizing your potential," he said. "You are, in fact, the masters of space. We are going to rely on you to do things differently as time passes. We are going to rely on your expertise to keep providing for those forward users who can't fight the American way of warfare without GPS, can't fight the American way of warfare without satellite communications, can't fight the American way of warfare without surveillance, without weather, without all of the other things that are provided by you and people like you." Additionally, Kehler stressed the award is about the whole team, which includes civil engineers, security forces, medical services and more. "All of the things that go in to making the skills across an entire wing are being recognized here with the Omaha trophy," he said. "Congratulations to you, you deserve it. You don't get enough praise for the things that you do. You labor in silence and in the shadows." Ross said the award, the Trophy for Global Operations, is what the wing does with its mission "Command satellites to deliver decisive global effects." "What General Kehler said was exactly right," he said. "It was a team effort; the entire team is responsible for this. This is your award. Each and every one of you should be proud of how you contributed to the outstanding manner in which we did our mission." Ross said he is blessed to be part of this team and proud of each and every member. "Hopefully, you are as proud of this unit as I am," Ross said. "Thank you for what you do for the wing, for the Air Force and for this great nation." /25/2013 - LOS ANGELES AIR FORCE BASE, El Segundo, California -- The U.S. Air Force's fifth Wideband Global SATCOM spacecraft (WGS-5) was successfully launched on a United Launch Alliance Delta IV launch vehicle at Cape Canaveral Air Force Station, Fla., on May 24, the first step in its journey to expand satellite communications services to the warfighter. Over the next several months, the satellite will undergo orbit-raising activities to reach geosynchronous orbit and on-orbit testing to verify nominal performance and prepare the satellite for operational use. Ultimately, the satellite will be controlled by the U.S. Air Force's 3rd Space Operations Squadron at Schriever Air Force Base Colo. WGS-5 should enter operations by the end of 2013. "WGS continues to meet user requirements and provides the highest capacity of any DoD communications satellite," said Mr. Luke Scab, chief Wideband SATCOM division, MILSATCOM Systems directorate. "WGS is a vital piece of the MILSATCOM enterprise consisting of WGS, Defense Satellite Communications System, Advanced Extremely High Frequency System, Minstar, and terminals providing diversified communications services to soldiers, sailors, marines and airmen around the world. This continued success is due to the hard work and dedication from the combined government and industry team." The Space and Missile Systems Center, located at Los Angeles Air Force Base, Calif., is the U.S. Air Force's center of acquisition excellence for acquiring and developing military space systems including Global Positioning System, military satellite communications, defense meteorological satellites, space launch and range systems, satellite control network, space based infrared systems, and space situational awareness capabilities. Good afternoon, everyone. Thank you for the kind introduction. It’s a pleasure to be here with you today and speak to you at the Georgetown Cybersecurity Law Institute. The cyber threat takes the form of Distributed Denial-of-Service (DDOS) attacks – that have interrupted or suspended the service of webservers at banks. It takes the form of theft and general invasions of privacy by “keystroke logging.” Installing malicious code, or malware, into a computer, and tracking almost every letter, number, or character you type on your keyboard, including all of the communications you are having over the Internet. The cyber world has been a useful tool for economic espionage and trade secret theft. Criminal organizations, or even foreign governments, without having to leave their countries or even their offices, can break into the computer system of a private company and steal innovative product designs, formulas, or trade secrets. As a result of this, the company loses the benefit of its investment of money and years of hard work, and more importantly, Americans lose their jobs. The cyber threat also takes the form of destructive malware. This is malicious software that is capable of deleting everything on a given computer hard drive. This is not an imaginary scenario. In Saudi Arabia, an oil company called Aramco was infected with just such a virus. Our country’s critical infrastructure is one of the most important areas requiring protection from cyber-threats. Today, most of the important critical functions in our society are run by computer systems. The power grid, hydroelectric dams, nuclear power plants, transportation systems, stock markets and communication systems are all controlled through sophisticated computer systems that allow them to be efficient, effective and coordinate with numerous other critical functions. By now, you have also heard a lot about what the government can do to help you address cybersecurity issues. But I want to emphasize that government cannot fight the cyber threat alone. And I want to provide you with some thoughts about your role in all of this. What are the things that you can do in the areas of prevention, preparedness, and incidence response. Some of this may seem quite basic to many of you, but it doesn't hurt to hear it again. Unless we work together, we will not be able to address the cyber threat successfully. Let’s begin with prevention. There are some key things that you and your companies should be doing to build resilience to your networks. Companies should put best practices and technologies in place. For example, each company needs a strong system of network firewalls. You, of course, need an external firewall. This will serve to protect you from the hacker trying to get inside. But that’s not enough. No matter how strong your external firewall is, the likelihood is that a hacker will inevitably break inside. So you also need internal firewalls. These should wall off different departments or divisions in your company from each other. And those areas that contain your company's most sensitive and valuable information should have particularly robust protections. This way, even if a hacker gets onto your network, he doesn’t get very far. Or, at least, he doesn’t get to your company’s most sensitive information. Companies need to educate their employees on intrusion techniques such as spear-phishing or redirecting websites – the scams that use a combination of email and bogus websites to trick victims into clicking on website links or opening attachments. It only takes the carelessness of one employee to let a hacker into your network. So companies need to train their employees to recognize and avoid these kinds of scams. And you need to set up a strong system for passwords. The strongest system has multiple layers, and yes, I know it is a pain, but it is so much less of a pain than losing all your data, your trade secrets, or your financial information. This may require the user not only to type in a number of different passwords, but also to send images or even to do a form of biometrics. You should consider using all of these to protect your core, most sensitive network areas. But you can't do this alone, either. You're going to need up to date information on what cyber threats are out there and what they look like. Participating in information sharing platforms like InfraGard can help you in this regard. InfraGard is an FBI-sponsored initiative that brings together representatives from the private and public sectors to help protect our nation’s critical infrastructure from attacks by terrorists and criminals. Members have access to FBI secure communications network featuring an encrypted website, web mail, list serves, and message boards. FBI uses the InfraGard website to disseminate threat alerts and advisories. InfraGard also sends out intelligence products from the FBI and other agencies. Beyond InfraGard, you can access other information sharing organizations like the Information Sharing and Analysis Centers – ISACs. ISACs are trusted groups established by critical infrastructure owners and operators. There are different ISACs for different sectors and areas of expertise. Members of ISACs share information with each other and maintain contacts with the government to share and receive cyber threat information. Services provided by ISACs include risk mitigation, incidence response, and information sharing. Depending on the ISAC, you may have access to a 24/7 security operations center, briefings, and white papers. What can the Government do to help with prevention? Well, for starters, we can share actionable information with you. We have collected and shared hundreds of thousands of indicators of malicious activity with the private sector and over a hundred nations. And this is just in the past six months. These indicators include information like IP addresses associated with malicious activity. You may have also heard about ECS — the Enhanced Cybersecurity Services program. This is a program that has been available to the U.S. defense industrial base. The Department of Homeland Security has been working with cybersecurity organizations from across the federal government to gain access to a broad range of sensitive and classified cyber threat information. DHS provides that information to qualified service providers to help them counter known malicious cyber activity. In the Executive Order that the President announced at the State of the Union earlier this year, we committed to expanding ECS beyond the defense industrial base to cover our nation's critical infrastructure. We also committed to redoubling the effort to share malicious indicators not just with members of critical infrastructure, but with the private sector writ large. Beyond information sharing, the President’s EO gave also the National Institutes of Standards and Technology – NIST – the responsibility, along with the private sector, to develop a framework of baseline standards for cybersecurity. The Framework’s purpose is to assist owners and operators of critical infrastructure to identify and manage risks posed from cyber threats. Once the Framework is established, DHS will establish a voluntary program to support adoption of the Framework. While the Framework is directly applicable to critical infrastructure members, there is nothing that prevents all companies from adopting the framework as part of their cyber program. Next is preparation for an attack. Even a well-defended organization will inevitably experience a cyber incidence at some point. Therefore, your company has got to have a strong and comprehensive plan for responding to a cyber incident. Determine what kinds of filters to employ in the face of a DDOS attack, how to implement mechanisms to shut down access to important sectors of your computer systems, procedures to change passwords and access controls, and provisions to preserve all your critical data to ensure continuity of your company's operation if your data has been destroyed. And importantly, mechanisms to notify customers or employees if PII has been stolen. I may be saying the obvious, but these procedures need to be developed before any cyber attack occurs. After an attack has started, it’s usually too late to figure what to do, or to have any hope that it will be effective. And your plan needs to be tailored to your particular company. You and the other IT professionals in your company are the only ones with the expertise and detailed familiarity with your own system to undertake the evaluation of how all your systems work together and how a hostile actor might exploit vulnerabilities. So take the time to really think about it. Finally, think about your cyber protection program from the perspective of your shareholders. The SEC has issued specific guidance regarding disclosure obligations relating to cybersecurity risks and cyber incidents. The guidance, which was issued in 2011, makes clear that there are particular obligations that apply before, during, and after a cyber incident. But you should think about your disclosure obligations beyond just particular cyber incidents. If you had to explain to your shareholders how you are going about protecting the most valuable trade secrets of your company, or its financial information, or its critical operations, or the personally identifiable information of your customers or employees, what would you want that explanation to look like? What kind of impression would you want the investing public to have about your dedication to cyber protection. So, your company has followed all this advice. It has put in place a resilient network, and you have set up a comprehensive plan of action for responding to cyber incidences. You have also been able to rehearse your plan repeatedly and have even exercised it in responding to small-scale cyber attacks. But the attack still comes. Unfortunately, it’s inevitable. What do you do then? I know that many companies are reluctant to let anyone know they have been the victim of a cyber attack. They don't want their shareholders or their customers to lose confidence in their systems. So they deal with it themselves, and don't tell anyone about it. But that kind of thinking leads to only one result - more attacks, on you and other companies. I want to urge you, in those situations, to notify law enforcement immediately. We have tools to help you and others who are the victims of the attack and we can use your attack information to help prevent future attacks. And, we are dedicated to maintaining the confidentiality as best we can so you don’t get victimized again through bad publicity. Let me give you an example of how law enforcement can respond when we learn of a cyber attack. This was a particularly pernicious infection, in large part because the malware was continually updated to escape detection by most anti-virus tools. In this scheme, the botnet creators, through keystroke loggers, were stealing peoples’ personal and financial information. Because these criminals were overseas and could not be easily identified, arrested or prosecuted, we had to figure out a way to disrupt the network and stop the theft. We did this through a combination of civil and criminal authorities that allowed us to wrest control of the network from the criminals and shut it down. First, because the central command computers that operated the botnet were in the United States, we sought a criminal seizure order to take control of those servers. This took the botnet control away from the criminals, and let us respond when the infected computers beaconed back asking for their next instruction. Finally, although we had put the malware to sleep, it was still on all of the individual computers. With the malware in place the botnet creators could reconstitute the botnet fairly easily. So we went to work with antivirus companies and other industry partners to solve this problem. Software companies and Internet Service Providers offered free self-help tools and advice that enabled users to rid their computers of the malware. By combining authorities and working together with the private sector, we developed an effective solution to address this one network of malicious code. But in this instance we were lucky. We were able to locate key components in the United States and did some creative lawyering to seize control of those servers. But that won't always be the case. Most of the law enforcement we have today was designed for the 20th century. We are, unfortunately, dealing with a 21st century problem. Although the federal government currently has a range of tools at its disposal, we still need to give law enforcement better ways to stop cyber crime without having to piece together ad hoc, creative solutions. We need to facilitate the appropriate sharing of cybersecurity information like malware codes between the government and private industry so industry can protect itself. We also need legislation to incorporate privacy and civil liberties safeguards into all aspects of cybersecurity. We have been and should also continue to engage our Allies and partners worldwide to solidify norms of cyber behavior — to help ensure that the Internet remains open, secure, and stable. It is also crucial for us to maintain a meaningful dialogue with the world’s largest cyber actors and work together to develop an understanding of acceptable behavior in cyberspace. But above all, we must work together — the government and the private sector — to build closer and even better partnerships. Only by doing this will be able to make the future Internet a place where we can be more confident that our businesses, our privacy, and our personal finances can operate safely. The responsibility of protecting all of this rests not only with the government, but also with, individuals, firms, and companies themselves. We know that you have been working hard to provide security for your systems. We commend you for doing so and look forward to working closely with you as we move forward in addressing and countering the cyber threat. Thank you again giving me the opportunity to talk with you today about this important topic. 5/23/2013 - CAPE CANAVERAL AIR FORCE STATION, Fla. -- When the Air Force successfully launched an Atlas rocket carrying a GPS satellite May 15, reservists in the 19th Space Operations Squadron provided all of the operational manpower from the launch through the first 96 hours on orbit. "The Air Force Reserve has supported 28 of 36 GPS launches," said Lt. Col. Mark Strub, 19th SOPS commander at Schriever Air Force Base, Colo. "This is the ninth launch led by the 19th SOPS and the 12th for which squadron personnel have been an integral part of the launch team." The GPS IIF-4 spacecraft ascended into a constellation of satellites circling 11,000 nautical miles above the earth. It provides precision navigation and timing to U.S. military forces and civilian users worldwide. - A 12-year design life providing long-term service. These upgrades improve anti-jam capabilities for the warfighter and improve security for military and civil users around the world. SAN DIEGO, May 17, 2013 – Unmanned vehicles, known as UxVs, deliver enhanced information dominance capabilities to the fleet, increasing the utility of robotic systems employed in military operations. Such military operations can range from combat to disaster-relief missions, which create the requirement for robotic command-and-control systems with mission-specific functionality that display mission-specific information to the operator. Guided by Gary Gilbreath, chief software engineer for unmanned systems here at the Space and Naval Warfare Systems Center Pacific -- SSC Pacific for short -- has developed an unmanned vehicle/sensor operator-control interface that can simultaneously handle multiple sets of disparate remote systems. Development of the Multi-robot Operator Control Unit, which enables command and control of a wide range of vehicles and payloads under varying mission scenarios, began in 2001. It’s the first “common controller” for SSC Pacific’s broad family of developmental UxV systems, including land, air, sea and undersea vehicles and sensors. Government-owned, MOCU has a modular, scalable, and flexible architecture. Modularity allows for a breadth of functionality, such as communicating in unrelated protocols. Scalability allows MOCU to be installed on a wide range of hardware. While, flexibility allows MOCU users to define what information is displayed and determine what control is needed for each system. One key advantage of MOCU is that the user interface can be easily reconfigured as needed by editing XML configuration files, without the need to recompile. Under Gilbreath’s direction, MOCU was ported to more than 30 government programs by 2005, and to an additional 26 outside users by 2010. Additionally, MOCU was selected for use on the Navy's littoral combat ship mission modules and the Advanced Explosive Ordnance Disposal Robotic System. More recently, it was selected by the Marine Corps/Army Robotic Systems Joint Program Office for joint UxV acquisition programs. With this rapid adoption of MOCU by industry and other government agencies, the title of chief software engineer for unmanned systems was created to oversee, coordinate, and manage all internal and external development and implementation activities. “As our chief software engineer, Gilbreath has provided technical direction, coordination, and management of the growth of MOCU software across [the Defense Department] and throughout industry and academia,” Everett said. Having worked in the area of unmanned systems for more than 26 years, Gilbreath is nationally recognized as a subject-matter expert in UxV C2. He has provided high-level architecture design for UxV C2 software, guiding multiple stakeholders, including the Naval Sea Systems Command, Naval Air Systems Command, Office of the Secretary of Defense, the Army, the Marine Corps and industry. “Our goal is to provide the most adaptable, extensible, and appropriate technology solution to the sponsors and users, thereby ensuring SPAWAR remains at the forefront of UxV C2 in all operational domains and across the globe,” Gilbreath said. 5/16/2013 - CAPE CANAVERAL AIR FORCE STATION, Fla. -- The U.S. Air Force's 45th Space Wing successfully launched the first Atlas rocket carrying a GPS satellite since 1985 at 5:38 p.m. May 15 from Space Complex 41. The United Launch Alliance-built Atlas V rocket carried into orbit the 64th GPS satellite, an enhancement to the orbiting constellation. Brig. Gen. Anthony Cotton, commander, 45th Space Wing, praised the combined team of military, government civilians and contractors on the outstanding results. "I am proud of the hard work of the 45th and 50th Space Wings, the Space and Missile Systems Center, United Launch Alliance, Boeing, our industry partners and the Atlas V and GPS IIF launch teams," said Brig. Gen. Cotton. "Once again, our entire team worked hand-in-hand to make this another successful launch for the Air Force and our nation." The GPS IIF-4 spacecraft ascended into a constellation of satellites circling 11,000 nautical miles above Earth. It provides precision navigation and timing to U.S. military forces and civilian users worldwide. The new capabilities of the IIF satellites will provide greater navigational accuracy through improvements in atomic clock technology; a more robust signal for commercial aviation and safety-of-life applications, known as the new third civil signal (L5); and a 12-year design life providing long-term service. These upgrades improve anti-jam capabilities for the warfighter and improve security for military and civil users around the world. "The Air Force is working hard to advance the GPS network for improved accuracy across the board for things like commercial aviation signals, anti-jammers and a longer shelf life as we evolve the system over time," said Lt. Col. Paul Konyha, commander, 5th Launch Support Squadron. OFFUTT AIR FORCE BASE, Neb., May 14, 2013 – Recognizing the value of multinational coalitions for operations in the land, maritime and air domains, officials at U.S. Strategic Command here hope to forge a coalition that shares assets and capabilities in space. However, as more nations, organizations and commercial companies vie to take advantage of space-based capabilities, the once-pristine space domain is becoming increasingly congested and competitive, Thompson said. And of particular concern to military leaders, space is an increasingly contested domain, with potential adversaries hoping to level the playing field by denying access to space and space-based capabilities, he said. The response, Thompson said, must be the same unity in numbers that has proven itself out in every other domain. Coalitions provide more capability than any one nation can provide alone, while also sending an important deterrent message to potential adversaries, he said. Unlike recent coalitions, formed for specific periods to accomplish specific objectives, Thompson said he hopes those formed for operations in space endure. “We have enduring requirements and enduring interests that are common among ourselves. So we see this as a longer-standing coalition with these nations,” he said. Working together to support their shared interests and objectives, Thompson said, the coalition members will help ensure that space remains a global common open to all. 5/14/2013 - LOS ANGELES AIR FORCE BASE, Calif. -- The U.S. Air Force Global Positioning System (GPS) IIF-4 satellite is ready for launch aboard a UnitedLaunch Alliance Atlas V Launch Vehicle on May 15 from Cape Canaveral Air Force Station, Fla. The launch window opens at 5:38 p.m. EDT and will remain open for 18 minutes to accommodate any delays for weather or technical reasons. The satellite, designated as Space Vehicle Number (SVN) 66, is the fourth in the series of 12 IIF space vehicles that Boeing has on contract with the Air Force. SVN-66 will be joining the other operational satellites currently on-orbit in the GPS constellation. "We are looking forward to yet another successful launch; tremendous progress is being made with the GPS IIF space vehicles. The first three satellites are on-orbit and meeting all mission requirements and the atomic clocks on-board the payloads are providing the best accuracy ever," said Col. Bernie Gruber, director of the Space and Missile Systems Center's Global Positioning Systems Directorate. "This is just the beginning of the modernization plan to improve operations, sustainment and overall GPS service for military and civil users around the globe. I would like to commend the 45th and the 50th Space Wings, United Launch Alliance, our industry partners, the Atlas V and GPS IIF launch teams. Thanks to the hard work and focus on mission success, we are ready tolaunch the fourth GPS IIF satellite," he said. "To mission success!" The new capabilities of the IIF satellites will provide greater navigational accuracy through improvements in atomic clock technology; an increased design life of 12 years for long-term service; and a new third civil signal (L5) to provide a more robust signal for commercial aviation and safety-of-life applications, while the second civil signal (L2C) is available for dual-frequency equipment. GPS will deliver sustained, reliable and improved military and civil navigation capabilities to ensure GPS remains the "Center of Excellence forspaced-based navigation." 5/14/2013 - PETERSON AIR FORCE BASE, Colo. -- In the early 1940s, Peterson Air Force Base, or as it was known back then, Colorado Springs Army Air Base, was little more than a dusty runway with a few small white buildings that provided a place to train bombers during World War II. After the war, the base closed until the start of the Cold War in the 1950s. From this point forward, Peterson Air Force Base saw many transitions, but none more significant than the birth of the 21st Space Wing in 1992. This week marks the 21st anniversary for the 21st Space Wing. As we celebrate how far we've come, it's important to remember how the wing began. Retired Brig. Gen. Ronald Gray, the first commander of the 21st Space Wing, recently explained that the creation of the 21st Space Wing was a much needed improvement from the 1st Space and 3rd Space Support Wings that previously occupied Peterson AFB. "I guess you had to be there previously to get a real understanding of how it was a significant change," Gray said. Gray, who was the director of operations at Air Force Space Command during this time, said this change was a direct result of newly appointed Chief of Staff of the Air Force, Gen. Merrill McPeak. "(McPeak) had some very strong views on the Air Force's organization and where the problems were and what could be done to solve some of those problems," said Gray. "He came up with a concept called the 'objective wing,' meaning that the organizational structure, roles and missions would be the objective for all Air Force wings to adhere to." The objective wing concept, said Gray, eliminated staff activities overseeing operations and maintenance creating group commanders instead. Gray added that this new structure created a clearly defined line of responsibility from the CSAF to the lowest ranking airman. Along with the 1st Space Wing and 3rd Space Support Wing at Peterson AFB, there was also the 2nd Space Wing at Schriever AFB. Many of the issues faced by Peterson and Schriever AFBs as well as the GSUs is the difficulty in working with another wing to garner critical support. Prior to Gray's assignment at AFSPC, Gray was the commander of the 1st Space Wing. One of his many frustrations at that time was the funding decisions made by the support wing that affected mission organizations. "We were buying sod at Peterson AFB while mission organizations were starving," said Gray. "We were always $10 short on funds and $20 short on people." Gray said all of that changed on May 1, 1992, however, when they stood up the 21st Space Wing. "It was a new start in many ways: organizationally, functionally, mission-wise, as well as people, which was a breath of fresh air," said Gray. "It gave them a purpose, I think, that they did not have before. They couldn't point to any mission other than support." Stepping into the role of commander of the 21st Space Wing, Gray made a promise to visit every office on base. Although it took him three months, Gray fulfilled that promise. "I walked into every shop on Peterson AFB and I emphasized to them, the purpose of the 21st Space Wing is missile warning and space surveillance and don't you forget it," said Gray. "I figured I could get everyone moving in the same direction at the same time doing the same mission, and I think it worked." Since then, the Wing has grown to be the fourth largest wing in the Air Force, spread out over 16 states, eight countries and 13 time zones. It supports six installations across 34 locations and employs about 4,300 military, civilians and contractors. These Airmen operate and sustain global missile warning and space control capabilities and installations to dominate the high ground for America and its allies. 5/8/2013 - ROBINS AIR FORCE BASE, Ga. -- An innovative program developed by Headquarters Air Force Reserve Command here is expected to improve productivity, save maintenance man-hours, and the Air Force $12 million. Called eTools Lite, the program improves on the Air Force's original mandate to put aircraft maintenance technical orders into an electronic format by placing the digital files on iPads instead of the costlier, heavier and more complicated ruggedized laptops. With the iPads and eTools Lite, access to more than 2,000 technical orders is a simple swipe of the finger, a convenience not lost on aircraft maintainers. "Maintainers are calling this the best thing since sliced bread, a game changer," said Corey Runge, a former F-16 crew chief and a member of the AFRC team that developed, tested and fielded the ingenious solution. Developed in partnership with AFRC's Communications and Logistics directorates, eTools Lite reduces the number of ruggedized laptops needed by the maintenance community. Some laptops will still be used in supervisory and troubleshooting roles but the vast majority of tech data access by AFRC maintainers will be done via iPads. According to Col. Wendy Deemer, chief of AFRC Logistics Operations, eTools Lite will be adopted by the Air Force on an attrition basis. Col. Larry Stephenson, deputy director of Logistics, led the AFRC team that took eTools Lite from concept to implementation in just two and half years. Team members included, Deemer, Majs. Christina Manning and Ellen Weaver, Capt. Terrell Eikner, Senior Master Sgt. Wendy Blevins, Jerry Ruiz, Bruce Gaynor, Cynthia Schultz, Michael Phillips and Runge. Several years ago Air Force mandated that technical orders and other instructions be converted from paper to portable digital format so aircraft maintainers could easily access tech data in PDF form on laptops instead of lugging binders of paper TOs to the flightline. In concept, the laptop solution seemed plausible. In reality, Deemer said, the laptops did not work as originally intended. Runge agreed. A crew chief for eight years at Homestead Air Reserve Base, Fla., before joining the AFRC logistics team, he has firsthand experience with the cumbersome, heavy laptops. "We had to wait 10-15 minutes after logging in just to connect to the network," he said. "By the time I got out to the flight line, I had to deal with WIFI connectivity issues. It just wasn't working. At the time, most of the mechanics preferred to take paper TOs." "It really defeated the purpose [of having electronic tech orders]," Deemer said. "The whole idea was to save money. It didn't save a whole lot of money. Ruggedized laptops cost nearly $3,500 apiece. Converting to the iPads provides the Air Force a cost avoidance of more than $12 million over the course of a three-year tech refresh cycle, according to Deemer. Michael Phillips, AFRC Technical Order Distribution Office manager, is credited with bringing the iPad solution to the table. The iPad was chosen because it performed better than other tablet devices they tested, Phillips said. "The iPad can hold thousands of TOs, and it can open more than one book at a time, which wasn't a capability of some of the other tablets we tested at the time," he said. "These are standard off-the-shelf iPads," Phillips explained. "We haven't changed a thing other than disable WIFI and the camera. All we added was a rubber waterproof and scratch-resistant cover. And, we can field them at less than one-ninth the cost of the ruggedized laptops." "Oddly enough, the maintainers like the iPads so much, they take better care of them because they see them as such a valuable tool"
To ensure the iPads could safely be used in and around aircraft, the devices underwent military standards testing at the Air National Guard and Air Reserve Test Center in Tucson, Ariz. The command then fielded iPads at six AFRC bases to stress the devices in extreme cold, heat and humidity. Maintainers in Minnesota, Massachusetts, New York, Indiana, Ohio and Florida put the iPads through the paces. "Feedback we got from the maintainers was fantastic. They said the devices could revolutionize maintenance," Phillips said. "What we're seeing with the iPads is more efficient and effective tech order usage, as has been reported during operational readiness and other inspections," Deemer said. A recent Air Combat Command Combined Unit Inspection of the 920th Rescue Wing, Patrick AFB, Fla., commended the unit for "sound technical order usage." The rescue wing was an early adopter of the eTools Lite system. The iPads are so convenient and easy to use, maintainers race to the tool crib each morning to get one before they run out. On a typical maintenance job, an F-16 crew chief carries six to eight tech orders, work cards and job guides. This makes the TO kit weigh 15 to 20 pounds. The iPad, which contains nearly all the TO's in the Air Force library, weighs 2.5 pounds and can be grasped in one hand. "With paper tech orders, maintainers have a tough time dealing with wind, rain and hydraulic fluid. The paper has the potential to blow away, creating a foreign object damage hazard better known as FOD," Runge said. "You get the picture." Despite the benefits of the iPads, the logistics directorate faced an uphill battle to get them, said Deemer. "There were a lot of naysayers," she said. Fielding the iPads took considerable effort, from selecting the best device from a host of competing products, testing, then developing the concept of operations, policies and procedures and management of the program. "But, it was worth pursing," Deemer said. "We've had the great privilege to have leaders here who recognized that it was worth pursuing and went through all the pain that is required to get something like this. I think this is a tremendous accomplishment. "This is one of the greatest advancements in maintenance that we've seen in recent years because it directly benefits maintainers. It immediately makes their jobs easier, quicker. I'm excited about this and as more people start using the iPad they will be excited, too," Deemer said. 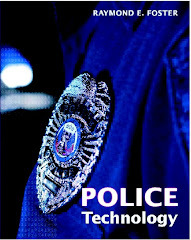 FORT MEADE, Md., May 9, 2013 – Approval last week of security technical implementation guides for BlackBerry and Samsung Knox devices means that Defense Department organizations will be able to use those devices in conjunction with a secure enterprise mobility environment. The May 2 release of the Defense Information Systems Agency’s Samsung Knox STIG provisionally allows DOD to use the latest technology as soon as it is available commercially. Officials also released STIGs for the BlackBerry 10, Blackberry Playbook and Blackberry Device Service. The STIGs allow use of accepted devices as part of approved mobility pilots with actively defended mobile device management systems, DISA officials said. The Samsung Knox STIG represents a paradigm shift in DISA's business processes that dramatically increased the efficiency of bringing new devices into the DOD enterprise, officials added. DISA field security operations developed the Samsung Knox STIG ahead of its commercial release, they noted, highlighting how close partnerships between government and industry are delivering the latest enterprise technology to meet department needs. A key component of the secure mobility environment is the mobile device management system that provides enforcement of the STIG settings, as well as other key security functions. Achieving DOD security objectives requires both the device security, defined in the STIG, as well as active defense provided through the mobile device management system, which DISA will implement through a contract award in early summer. The DOD Commercial Mobile Device Implementation Plan, released in February, led to the new process and served as the basis for establishing the list of approved devices. The plan tasked DISA to develop a new process for approving mobile devices "to ensure that DOD will have access to the latest mobile technologies in a timely manner by maximizing vendor participation." "DISA established a process where vendors develop STIGs following DOD security requirements guides and submit documentation and evidence for DISA's validation," said Terry Sherald, chief of DISA’s information assurance standards branch. "We are excited to continue working with other commercial mobile device providers to support a diverse, competitive multivendor environment." WASHINGTON, May 8, 2013 – The Defense Department is committed to providing the best medical care and recovery for service members with traumatic brain injury, DOD’s top doctor said in a statement issued yesterday. NICoE was constructed with philanthropic donations and is staffed by DOD personnel, which represents an “important new model in public-private partnership,” Woodson said. Located on the Walter Reed National Military Medical Center campus in Bethesda, Md., NICoE brings in leading academic and military researchers to collaborate on the “nexus of TBI and psychological health conditions” that affect military readiness and public health, Woodson said. Coming initiatives will further broaden TBI research, treatment and education as facilities and programs come online, he said. -- NICoE is expanding with nine satellite clinics situated on military installations. They are Camp Lejeune, S.C.; Camp Pendleton, Calif.; Fort Campbell, Ky.; Fort Belvoir, Va.; Joint Base Lewis-McChord, Wash.; Fort Bragg, N.C.; Fort Carson, Colo.; and Fort Hood and Fort Bliss, Texas. -- Research findings will be rapidly translated into clinical policy to ensure service members receive the most up-to-date, evidence-based medical care following a concussion. -- Another goal is to reduce the stigma of TBI through partnerships, such as the formalized agreement made in August 2012 between the Army and NFL Commissioner Roger Goodell. The agreement pledges work on both sides to improve awareness of brain injuries, reduce the stigma of TBI, and change the culture surrounding such injuries on the battlefield and in the locker room. -- The first brain tissue repository has been created to address the underlying mechanisms that cause brain injury and disabilities in service members with TBI. The repository is kept at the Uniformed Services University of the Health Sciences, also on the Walter Reed campus. “Although our work has been underway for years, we are still in the early stages of beginning to unlock the mysteries of how the brain responds to traumatic events,” Woodson said. WASHINGTON, May 3, 2013 – Pentagon officials yesterday approved the security technical implementation guides for BlackBerry 10 smartphones and BlackBerry PlayBook tablets with BlackBerry Enterprise Service 10, as well as Samsung's Android Knox, to be used on Defense Department networks. “This is a significant step towards establishing a multivendor environment that supports a variety of state-of-the-art devices and operating systems,” Air Force Lt. Col. Damien Pickart, a Pentagon spokesman, said in a statement announcing the approval. Several mobile devices and operating systems are going through the Defense Information Systems Agency's review and approval process. A security technical implementation guide approval establishes a configuration that allows a secure connection to DOD networks, which facilitates the process by eliminating the need for security reviews at the individual organization level, Pickart explained. However, he added, yesterday's decision does not result in product orders. The level of security necessary throughout the department does not rest solely on any one mobile device, Pickart said, adding that the network and software also must be secured and managed appropriately. An integral part of the secure mobility framework will be the Mobility Device Management and Mobile Application Store, which is in source selection now and anticipated for award in early summer, he said. 5/3/2013 - WRIGHT-PATTERSON AIR FORCE BASE, Ohio -- The final flight of the X-51A Waverider test program has accomplished a breakthrough in the development of flight reaching Mach 5.1 over the Pacific Ocean on May 1, 2103. "It was a full mission success," said Charlie Brink, X-51A program manager for the Air Force Research Laboratory Aerospace Systems Directorate. The cruiser traveled over 230 nautical miles in just over six minutes over the Point Mugu Naval Air Warfare Center Sea Range. It was the longest of the four X-51A test flights and the longest air-breathing hypersonic flight ever. The X-51A took off from the Air Force Test Center at Edwards AFB, Calif., under the wing of a B-52H Stratofortress. It was released at approximately 50,000 feet and accelerated to Mach 4.8 in about 26 seconds, powered by a solid rocket booster. After separating from the booster, the cruiser's scramjet engine then lit and accelerated to Mach 5.1 at 60,000 feet. After exhausting its 240-second fuel supply, the vehicle continued to send back telemetry data until it splashed down into the ocean and was destroyed as designed. All told, 370 seconds of data was collected from the experiment. "This success is the result of a lot of hard work by an incredible team. The contributions of Boeing, Pratt and Whitney Rocketdyne, the 412th Test Wing at Edwards AFB, NASA Dryden and DARPA were all vital," said Brink. This was the last of four test vehicles originally conceived when the $300 million technology demonstration program began in 2004. The program objective was to prove the viability of air-breathing, high-speed scramjet propulsion. The X-51A is unique primarily due to its use of a hydrocarbon fuel in its supersonic combustion ramjet, or scramjet, engine. Other vehicles have achieved hypersonic -- generally defined as speeds above Mach 5 -- flight with the use of hydrogen fuel. Without any moving parts, hydrocarbon fuel is injected into the scramjet's combustion chamber where it mixes with the air rushing through the chamber and is ignited in a process likened to lighting a match in a hurricane. The use of logistically supportable hydrocarbon fuel is widely considered vital for the practical application of hypersonic flight. As a technology demonstration program, there is no immediate successor to the X-51A program. However, the Air Force will continue hypersonic research and the successes of the X-51A will pay dividends to the High Speed Strike Weapon program currently in its early formation phase with AFRL. 5/2/2013 - EIELSON AIR FORCE BASE, Alaska -- A team of researchers from the NASA Airborne Science Program recently visited Eielson to assemble topography of glaciers and ice sheets in Alaska April 25 to 27, 2013. Due to some of the research taking place in the Beaufort Sea, Eielson's location provided NASA with necessary personnel and equipment to achieve mission objectives. "This NASA mission is just another example of how Eielson's unique location, capacity and support infrastructure can be leveraged to support and enable a myriad of [Department of Defense] and federal organization's missions," said Robert Cologie, 354th Operations Support Squadron current operations flight commander. "The NASA support distinctly captures the cornerstone essence of Team Eielson's prepare, enable and deploy skillset." NASA's team developed a radar system capable of generating wide-swath, precise digital elevation models of glaciers and ice sheets. Aptly named GLISTIN-A, Glacier and Ice Surface Topography Interferometer-Airborne, this sensor collects glacier measurements and sea ice observations. "Specifically, the GLISTIN-A sensor ... contributes high accuracy, high resolution swath measurements in targeted regions that are topographically and dynamically complex," said Delwyn Moller, NASA Jet Propulsion Laboratory. "The sea ice acquisitions are a test of the sensor's capabilities and potential to measure freeboard and are the first measurements of this kind." To obtain images from the sensor, GLISTIN-A is attached to a NASA C-20A aircraft. The aircraft, obtained from the Air Force in 2003, has been structurally modified and instrumented by NASA's Dryden Flight Research Center to serve as a multirole, cooperative research platform. The mission to Alaska focused primarily on tidal glaciers, which have a more direct contribution to sea level rise, in order to potentially seed larger-scale observations in other campaigns for climate change science, Moller said. "Sea ice is just one factor in studying climate change, but it is a major indicator of a warming climate," she explained. "GLISTIN-A has a potential to map and monitor the distribution and mass of the sea ice in a way not currently available through alternate space-borne or airborne sensors." With the success of the mission to Alaska and the support received from the Iceman Team, members of the C-20A crew are excited to return to the Interior in the future. "We spend a lot of time at Air Force bases and international airports across the globe, receiving the necessary ground support that is needed to make our missions a success," said John McGrath, C-20A project manager. "The help we have received from everyone here at Eielson is by far the best we have ever experienced and has made our lives very easy and our mission a success, and we are looking forward to coming back up here again." 5/2/2013 - COLORADO SPRINGS, Colo. -- The kind of dramatic innovation that brought the world the Global Positioning System is desperately needed today in military space and cyberspace, according to Air Force Space Command's Vice Commander. "Innovation is really what defines us as a Service," said Lt. Gen. John Hyten at the annual National Security Innovation Competition held here Apr. 25. "Our Service has been built on Airmen doing amazing things, fueled by innovation." "There are some spectacular examples of innovation ," in the Air Force's history, General Hyten told the audience of about 50 college students and technology professionals. The Air Force was one of the first to put integrated circuits to use in the early 1960's as part of the guidance system for Minuteman intercontinental ballistic missiles. Probably the best-known innovation, he said, was the Global Positioning System, better known to the world as GPS. Early in the development of GPS, even Air Force leaders could not fully appreciate the potential uses of global, precision navigation and timing. "Very few could think out of the box and look into the future and see there was a different way of doing business" said the general. Today, of course, people all over the world depend on not only the navigation GPS provides, but many financial systems depend on the precision timing signal. "You can't buy gas without GPS," in the United States, he said. GPS, "fundamentally changed warfare; it fundamentally changed the world." Innovation is a central theme in the new Air Force Vision. "Our Airmen's ability to rethink the battle while incorporating new technologies will improve the varied ways our Air Force accomplishes its missions," wrote Air Force Secretary Michael Donley and Chief of Staff General Mark Walsh III, in the document released in January, 2013. General Hyten challenged the competitors to fight for their innovations, even in the face of opposition from bureaucracies and naysayers. "We have a desperate need for innovation in both space and cyber," he said. "We have declining budgets. We have a completely different threat environment," in both cyber and space. "We need to figure out how to fight through contested environments," he said. "We have to come up with new ideas. If we don't, we fail as a nation." As Vice Commander, General Hyten helps lead more than 40,000 professionals engaged in military space and cyberspace operations for the Air Force, a mission which requires experts with a Science Technology Engineering and Mathematics education. The National Security Innovation Competition links students conducting cutting-edge research on concepts and technologies intended to meet national security capability needs with government and industry customers. Finalists this year included teams from the U.S. Air Force Academy, U.S. Military Academy at West Point, University of California, Davis; University of Colorado at Colorado Springs; Virginia Tech; Colorado Technical University and the University of Wyoming. Innovations presented at the conference included an underwater texting system, search-and-rescue robots, cyber security software, and nerve agent detectors. 5/1/2013 - KIRTLAND AIR FORCE BASE, N.M. -- The Space Development and Test Directorate at Kirtland is helping NASA launch a spacecraft to the moon this summer. NASA is sending the Lunar Atmosphere and Dust Environment Explorer, or LADEE, to orbit the moon and study the moon's atmosphere. LADEE will be launched into space from a rocket the SDTD helped build. "We developed a unique five-stage rocket that could get a probe to the moon and utilize the different experiments onboard," said Col. Urban Gillespie, SDTD Launch Systems Division chief. The rocket is built to have five stages to ensure the probe makes it to the moon and is in the right orbit to perform its mission. "It's similar to the different clubs you use in golf," Gillespie said. "The first three stages of the rocket are like your drivers, and will be used to send the probe into orbit around the earth. The fourth stage is like your mid-iron, and is used to propel the probe toward the moon. The final stage is like a putter, and will put the probe in the exact orbit trajectory it needs to reach the moon." The rocket, which uses three retired Peacekeeper intercontinental ballistic missile motors and two commercial motors, is scheduled to launch Aug. 12 from the Wallops Flight Facility in Virginia. LADEE is the first major NASA payload to fly on an Air Force rocket from NASA's range at Wallops. "The rocket is being processed at Vandenberg Air Force Base, Calif., and then will be transported to Wallops and assembled there before it is launched," said Master Sgt. Dave Grimes, Peacekeeper operations support manager. Grimes said transporting 35-foot, 117,000-pound rocket motors presents unique challenges, particularly moving it along traffic-congested highways and narrow back roads in eastern states - so to gain experience, he and his team transported rocket motor mockups across the country last year. The mockups are the same size as the real rocket motors, but are weighted with cement instead of propellant. Once LADEE is launched, its mission is expected to last 160 days. It will take 30 days for the probe to reach the moon, followed by 30 days ensuring everything on the satellite is working properly. For the next 100 days, LADEE will orbit the moon, studying the lunar atmosphere, performing various science experiments and analyzing data. "Obviously, we want NASA to be successful, but for us, success will be getting the rocket and the probe on the precise trajectory which will be challenging, because we have only a narrow 30-minute window to launch the rocket and get it where it needs to be," Gillespie said.